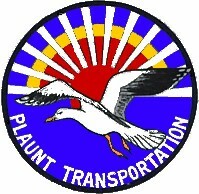 Home>Plan Your Trip>Ferry Service to Bois Blanc Island - Plaunt Transportation Co., Inc. Ferry service to Bois Blanc Island every day of the week from May to November. All scheduled trips are strictly weather permitting. Any trips in December through April are at the sole discretion of the ship's captain. Bois Blanc Island is located in the Straits of Mackinac. From the Island's west end one can see the Mackinac Bridge and Mackinac Island, and from the north shore one can see the Upper Peninsula. The largest settlement on the Island is Pointe aux Pins; other cottages are scattered among the trees. There are several inland lakes. Amenities include a general store, two chapels, the Hoover Community Building, a postoffice, a tavern, an airport, and a one-room Pines School.